Since its founding in 2002 VABO has developed into a high-quality manufacturing company with a high knowledge content. Our professionals are the key actors in the business! Our experienced professional team is a guarantee for the realization of composite products of high quality and finish. We can monitor and control the quality by working with modern production processes and to monitor and secure this through the ISO 9001 certification. VABO is specialized in the markets: Mega yachts, architecture and industrial solutions. Usually these are one-off products, prototypes or moulds. 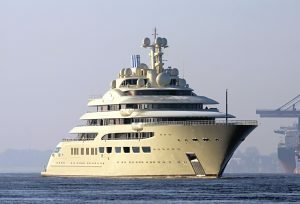 In the market sector; Maritime, we provide products and solutions for industrial shipping and for majestic yachts. 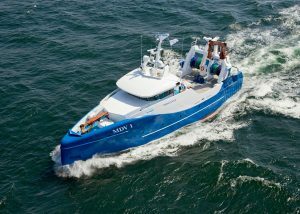 This ranges from luxury jacuzzi’s and radar masts to grids and applications for work boats. VABO Composites supplies certified ‘plug and play’ composite doors and hatches that are easy to put on the ships. The main advantages of these products are: lightweight, insulating capacity and low maintenance. The doors are manufactured with an integrated locking mechanism in different versions. The doors and shutters are already widely used in high speed and naval vessels. The expectation is that these products are also increasingly applied to other types of vessels. All composite ship doors and hatches are certified. We believe it is important to manufacture products where the properties of composites are maximized. We see our suppliers and customers as partners. This raised the overall quality of the projects and products. We prefer to make products turn-key as ready as possible for installations. This means we deliver more than just a composite product. To deliver extreme accuracy we have invested in a CNC milling machine. Vabo is a reliable partner because we have a team with extensive experience, and are proud of the products we make.